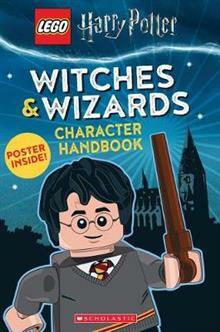 Welcome to the magical world of LEGO Harry Potter! Learn about all your favourite characters, from Hogwarts heroes like Hermione Granger and Ron Weasley to world-famous wizards like Albus Dumbledore and Sirius Black! Who has a magical eye that can see through ANYTHING? Which Hogwarts professor can transform into a cat? Find out those answers and more here! Every page of this character handbook is packed with fun facts and epic moments from the films. There's even an exclusive poster inside!